You may or may not be pleased we have shared this recipe with you and that is because it is highly addictive! 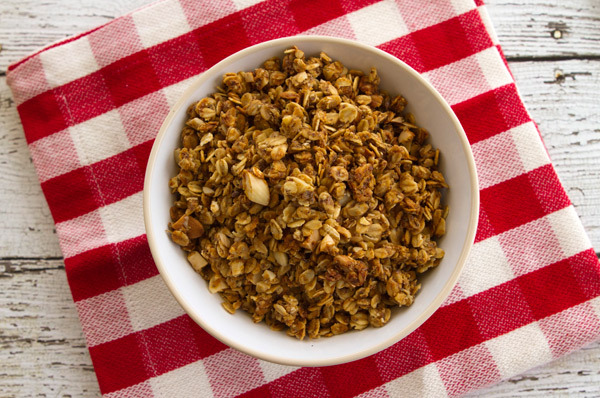 This is a great and simple recipe using pantry staples and yields a delicious granola. 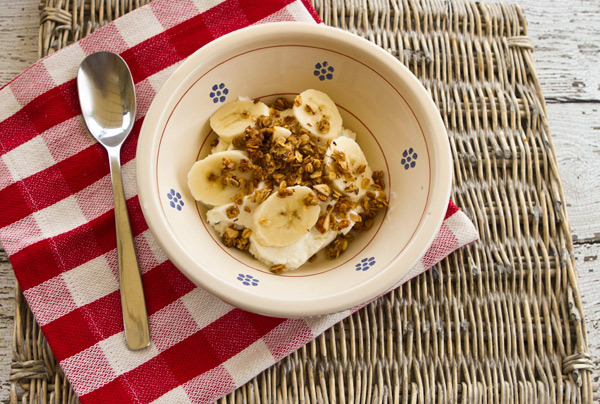 Enjoy a handful as a snack or sprinkle atop of Greek yogurt for a delicious breakfast. 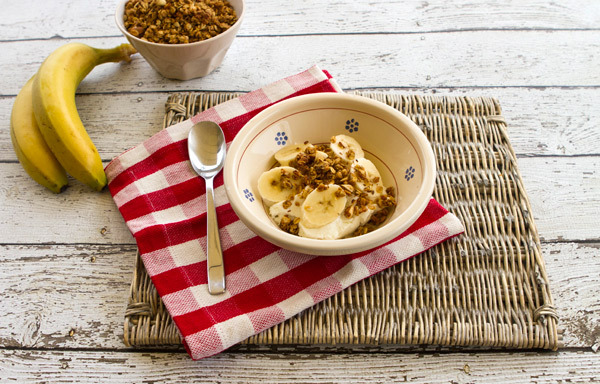 As with any granola recipe, this can be customized to what you have on hand – add chopped banana chips, apricot pieces, walnuts instead of almonds … you name it. Almonds are also a good source of heart-healthy, or monounsaturated, fats. They are rich in magnesium, high in vitamin E and loaded with B vitamins. Preheat the oven to 325 degrees F. and line a baking sheet with parchment paper. In a small bowl mix together the wet ingredients (plus salt and cinnamon). If the peanut butter is too thick to stir, simply warm it up a little before mixing. In a large bowl, combine the oats, flax meal and almonds. Add the wet ingredients to the oat mix and stir well to coat. The best way is to simply get your hands dirty and use your hands to incorporate to be sure all the oats are nicely covered and coated. Scoop the mixture onto the prepared baking sheet and spread granola evenly. Bake for 12-15 minutes, tossing once while baking. Oven temps vary so bake until it just turns a slight golden brown. This could be a couple minutes over or under. Remove the tray from the oven and allow to cool (the granola will still be soft, that’s okay!). 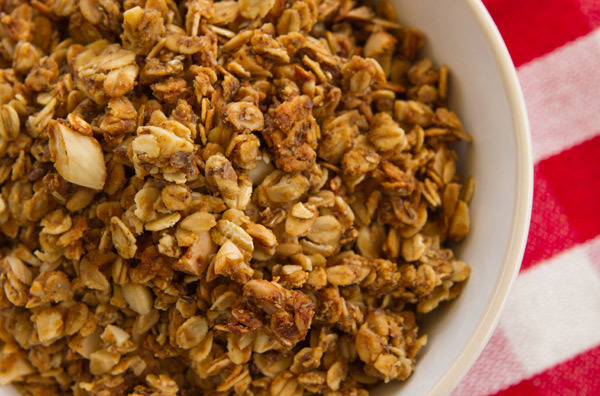 Allow the granola to fully cool as it gets crunchy as it cools. Store in a large mason jar or other airtight container.